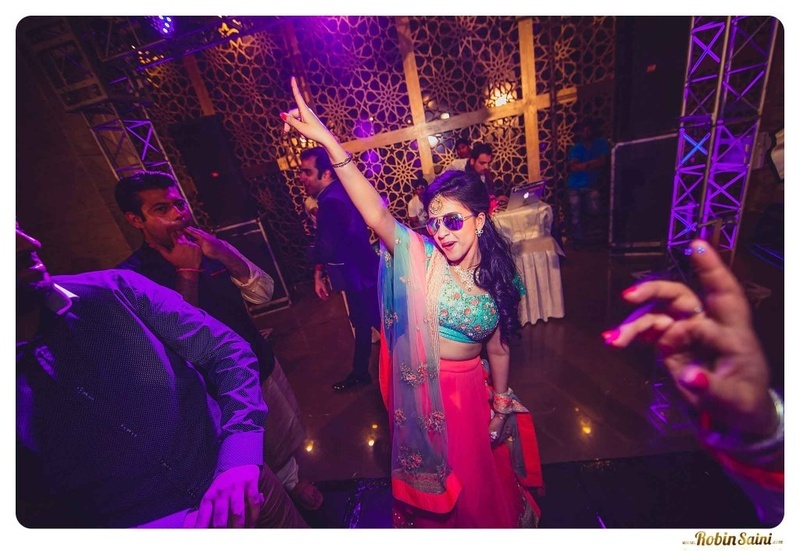 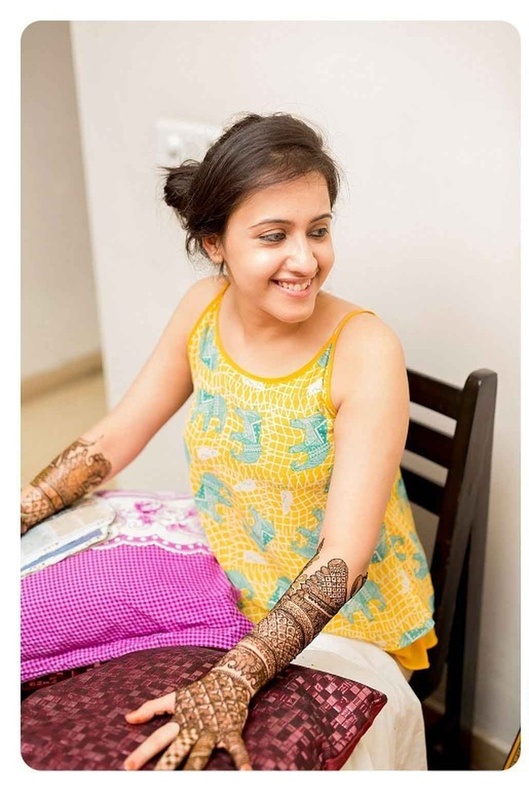 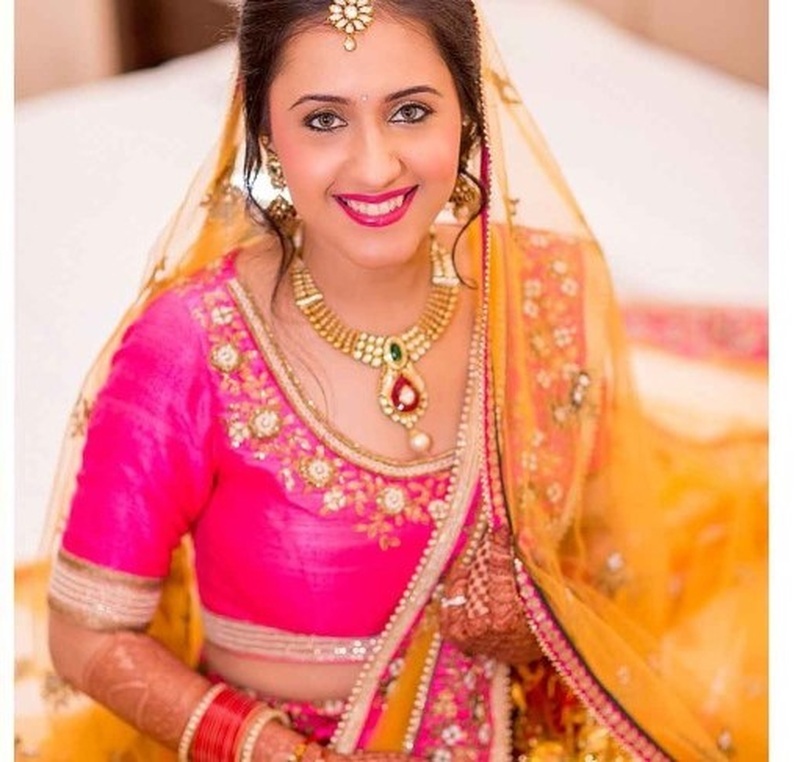 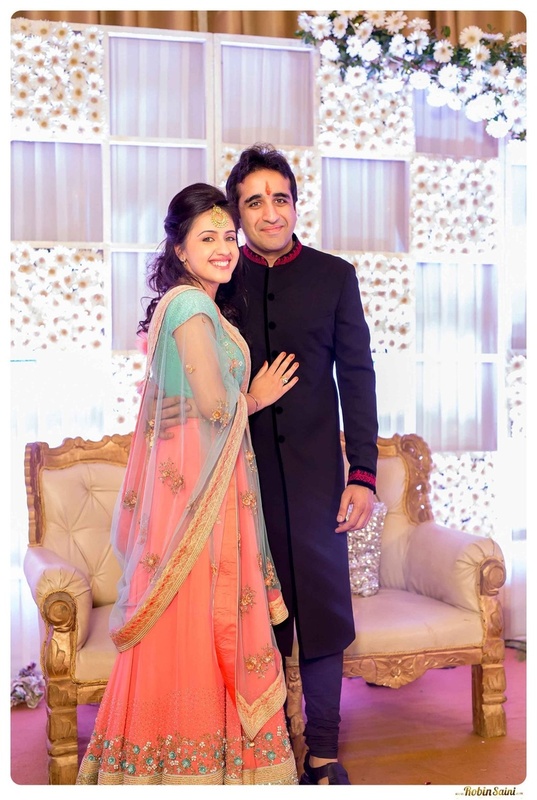 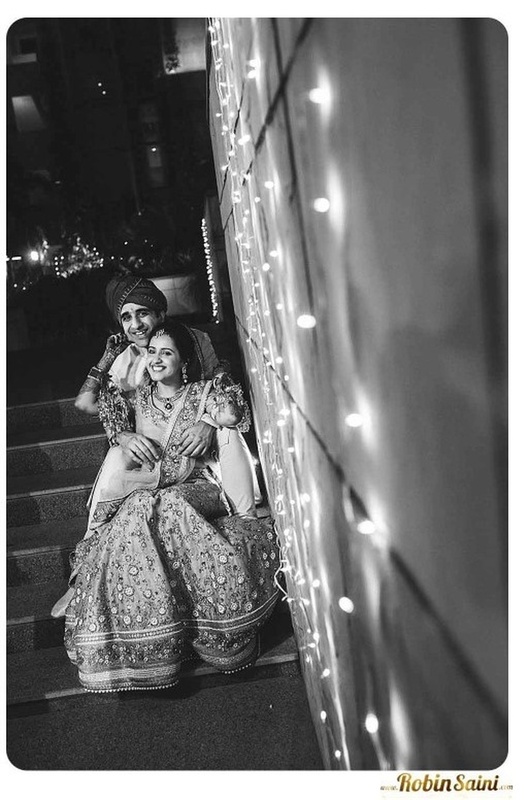 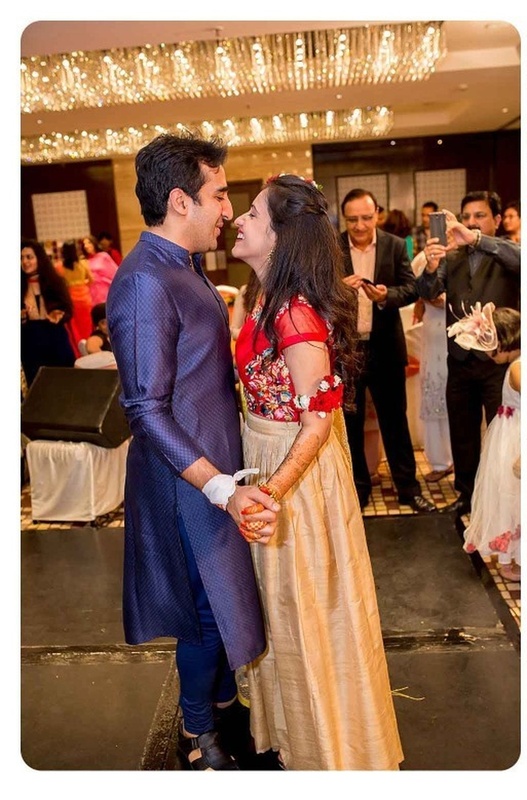 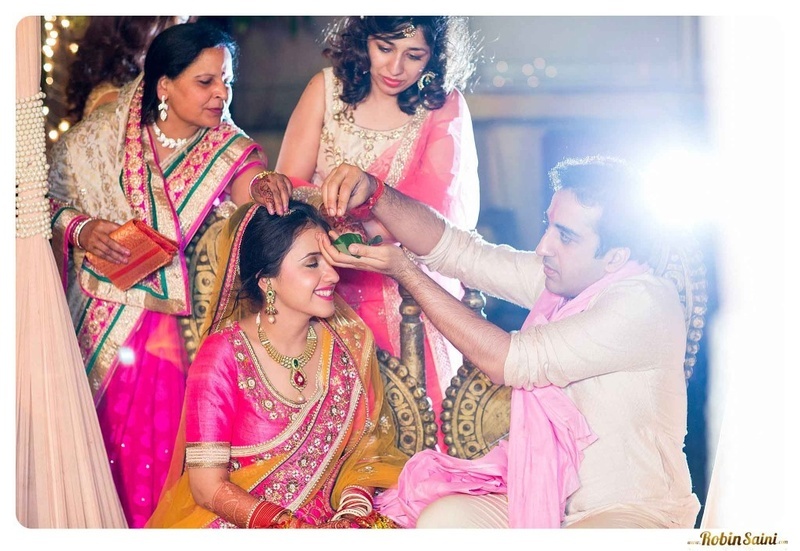 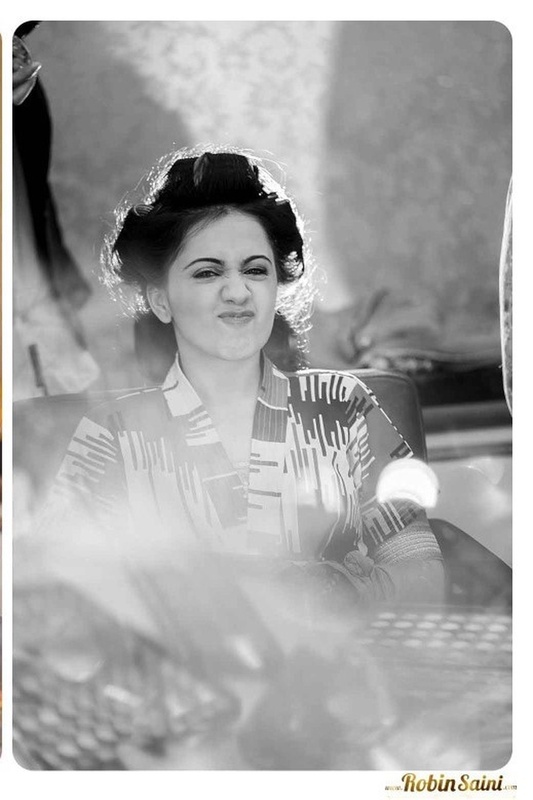 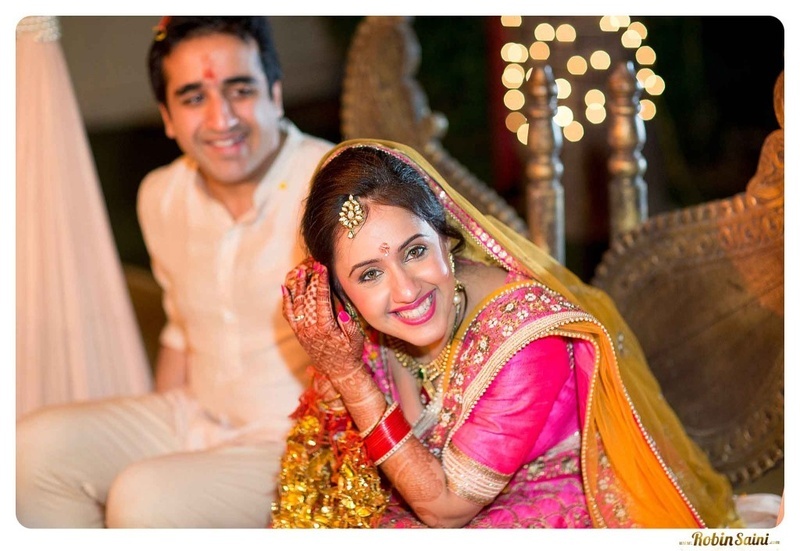 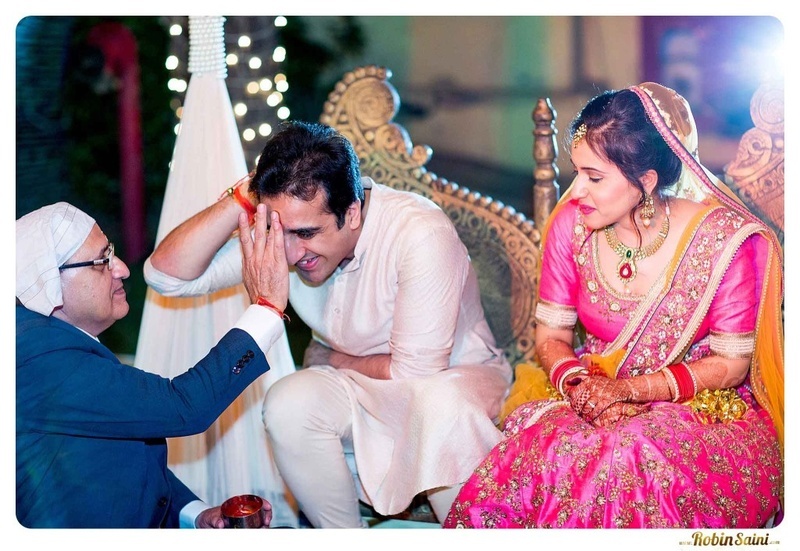 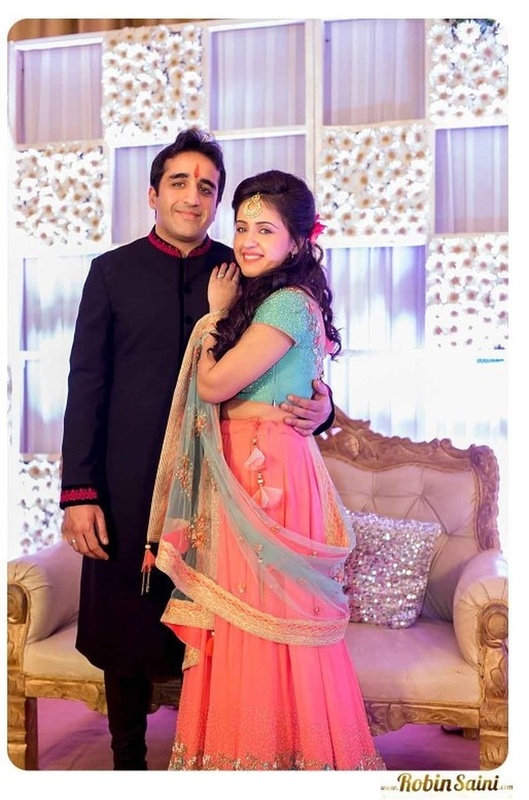 Purti and Shlok created the right balance with the simplicity and grandiosity factors at their wedding by going all out classy at their pre-wedding photoshoot and wedding while keeping the haldi and mehndi an intimate home affair. 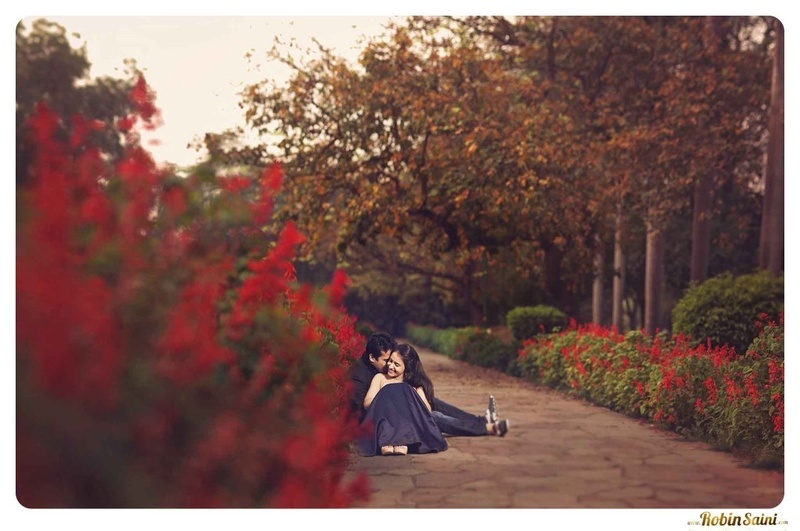 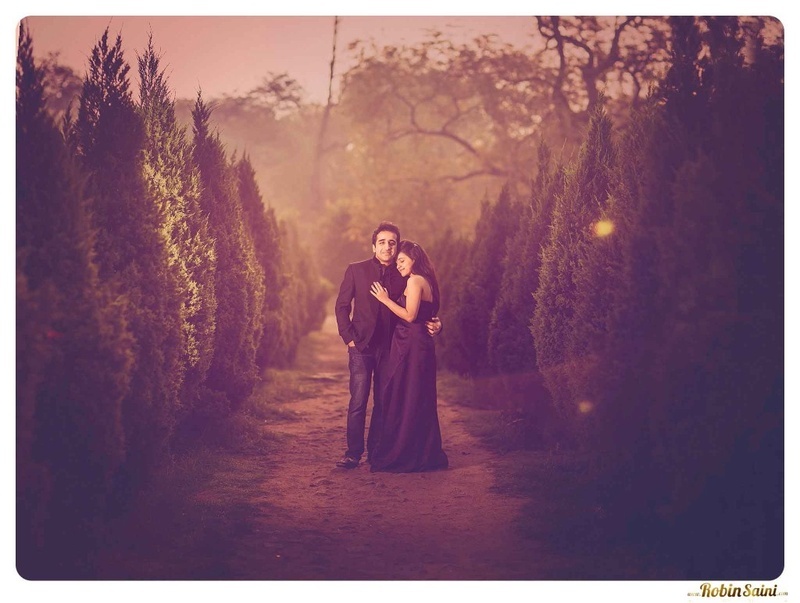 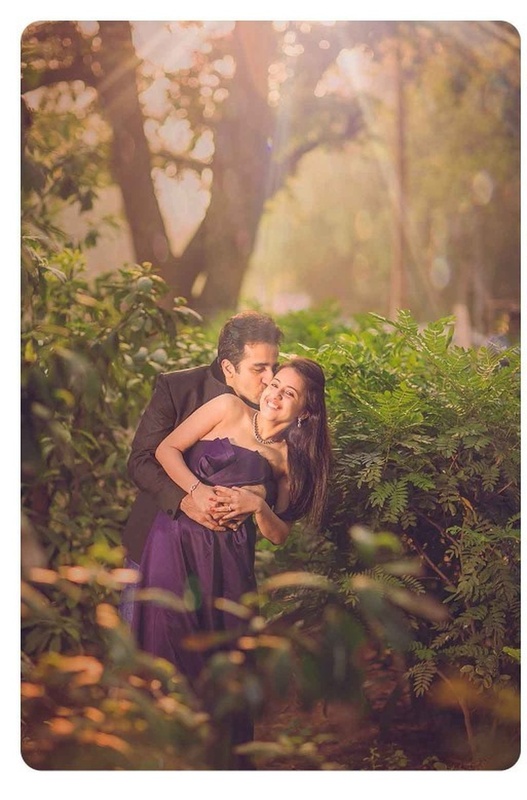 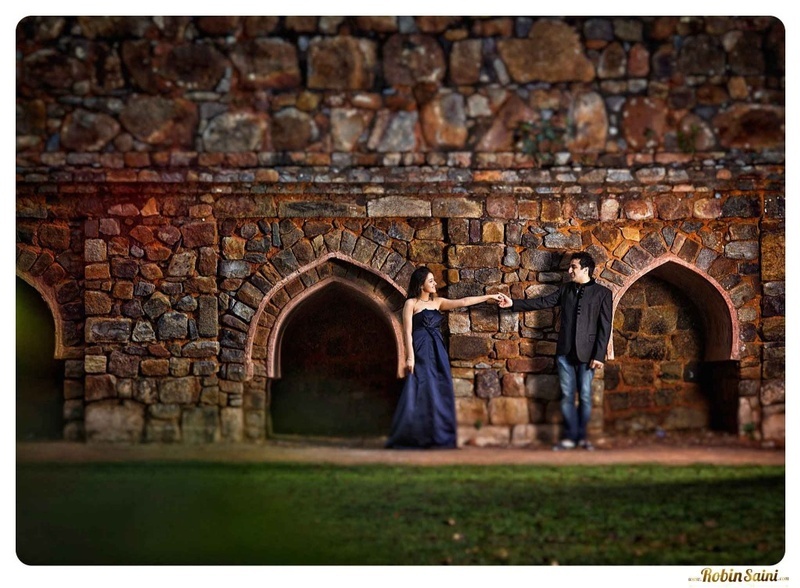 Dressed in classic evening wear, Robin Saini Photography took this duo to a beautifully rustic location at the break of day to catch the first rays of sunrise. 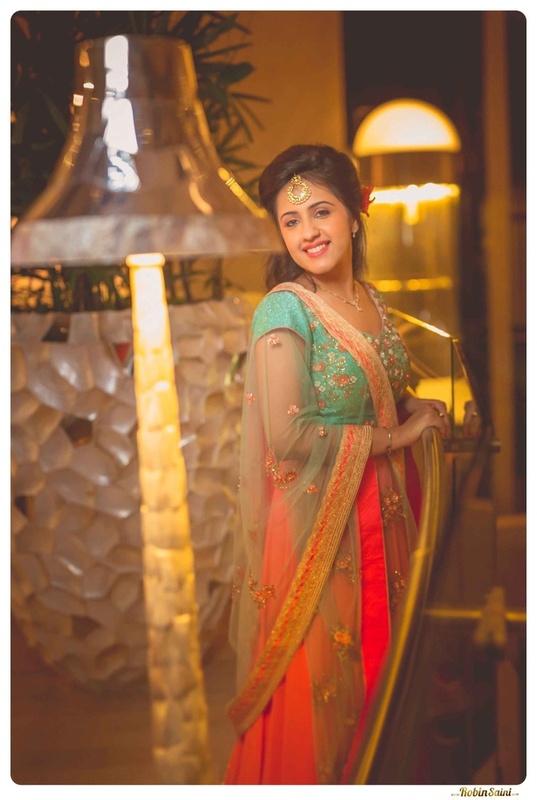 Dressed in a black strapless floor length gown, Purti’s contemporary outfit stood out in perfect contrast with the worn-out rustic backgrounds and dark green shrubs. 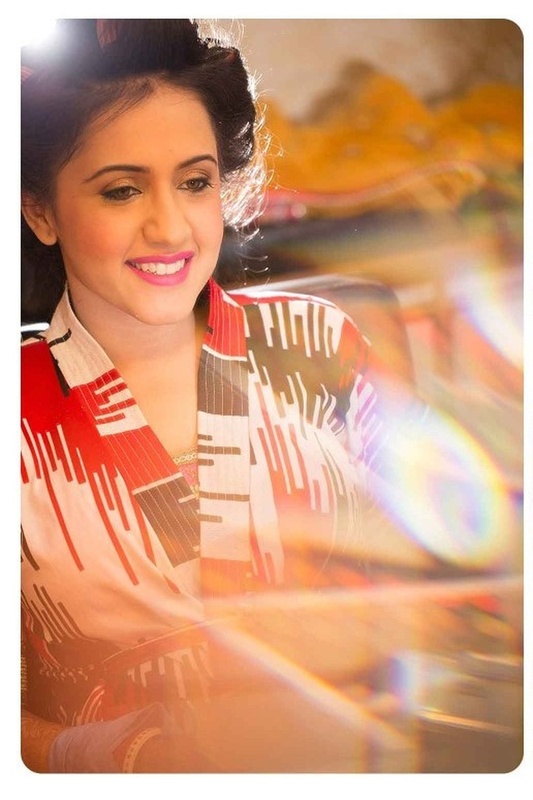 Shlok too, complemented her perfectly in his casual denims and crisp black blazer. 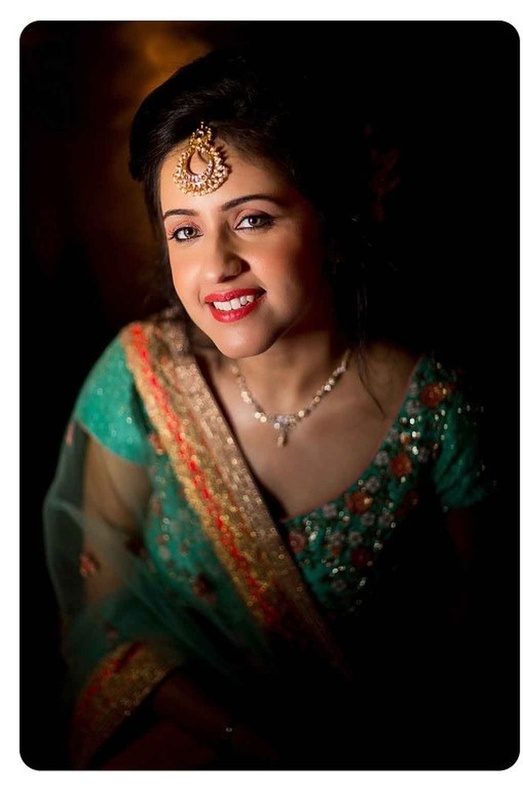 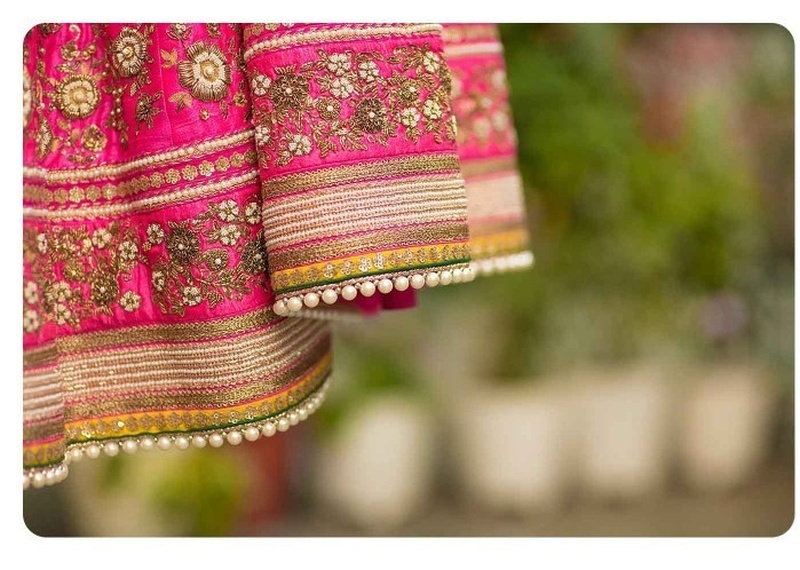 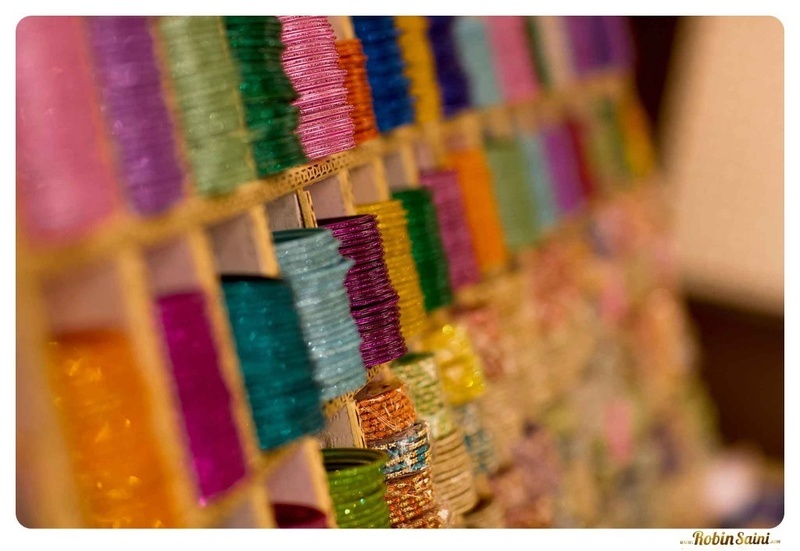 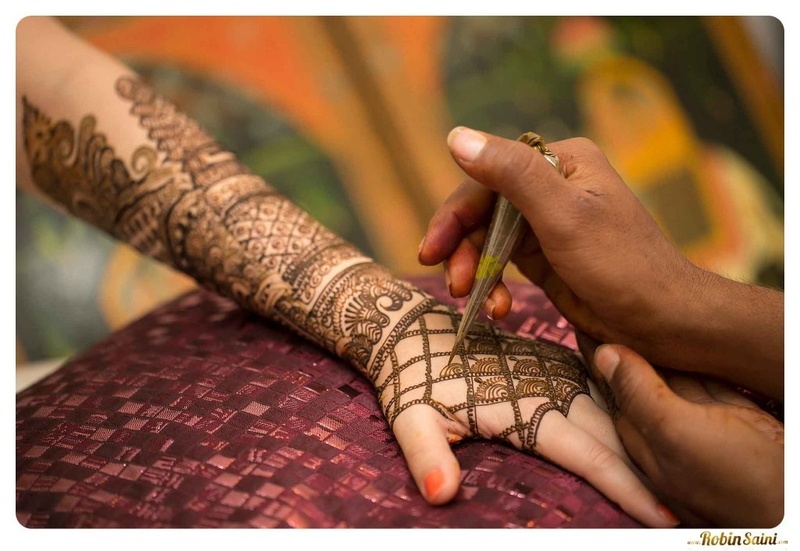 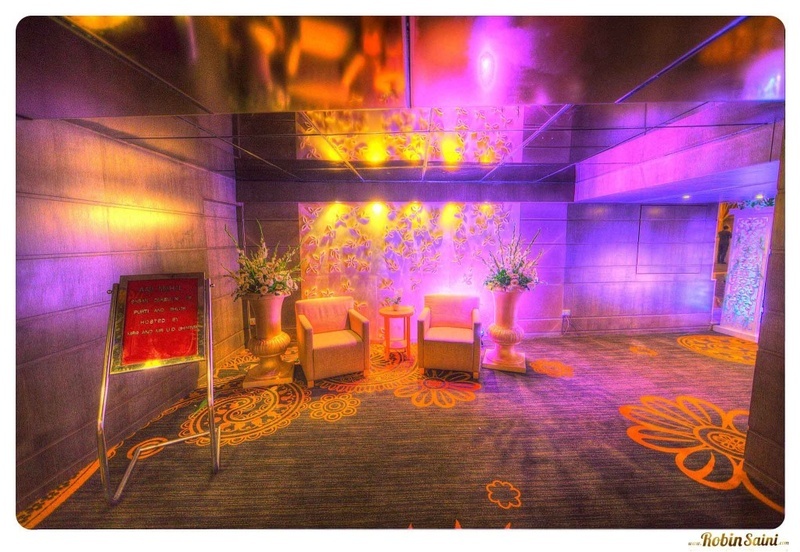 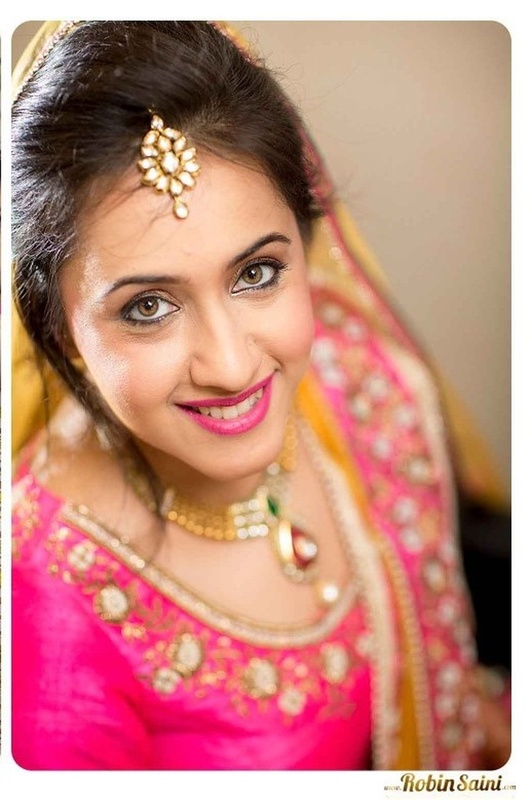 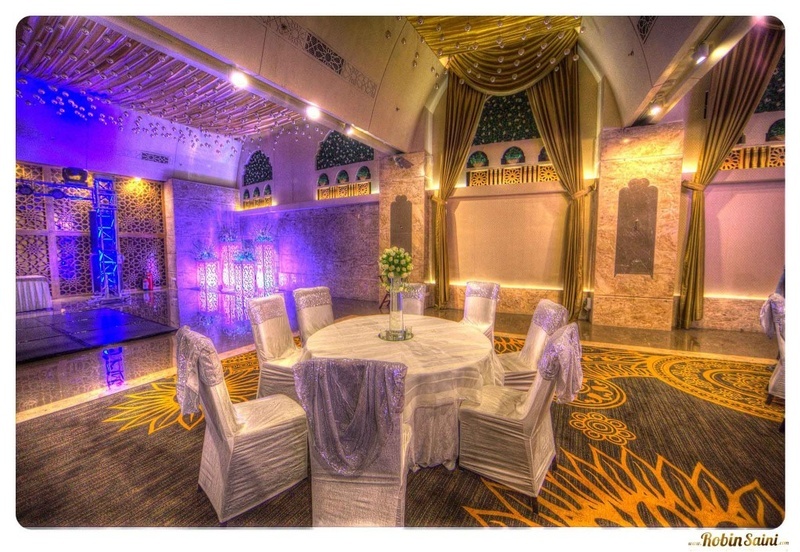 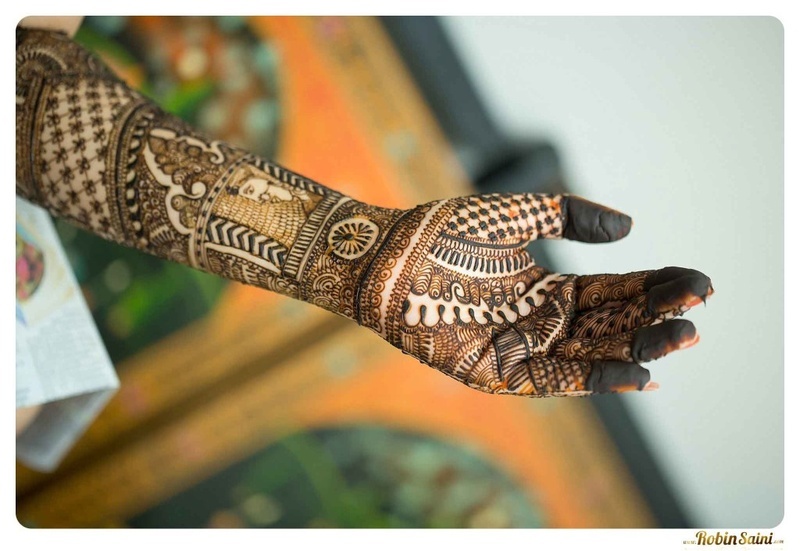 Once you set your eyes on Purti’s contemporary bridal mehndi you won’t be able to stop staring, we guarantee. 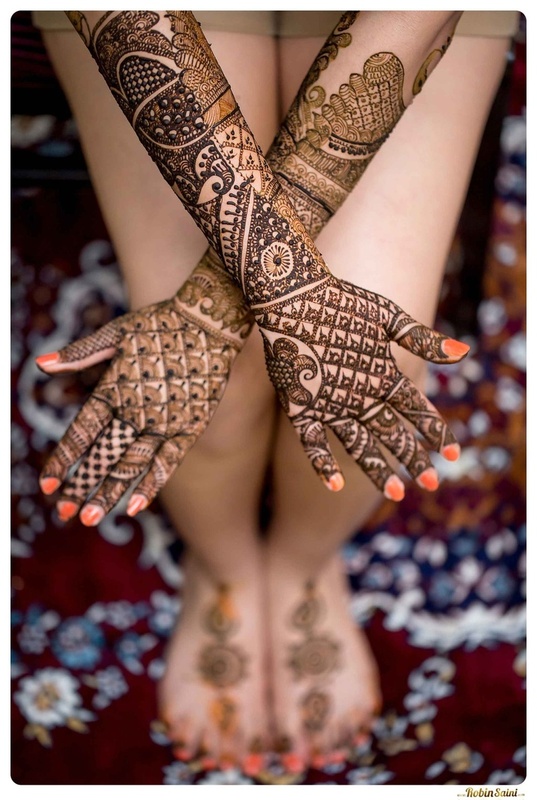 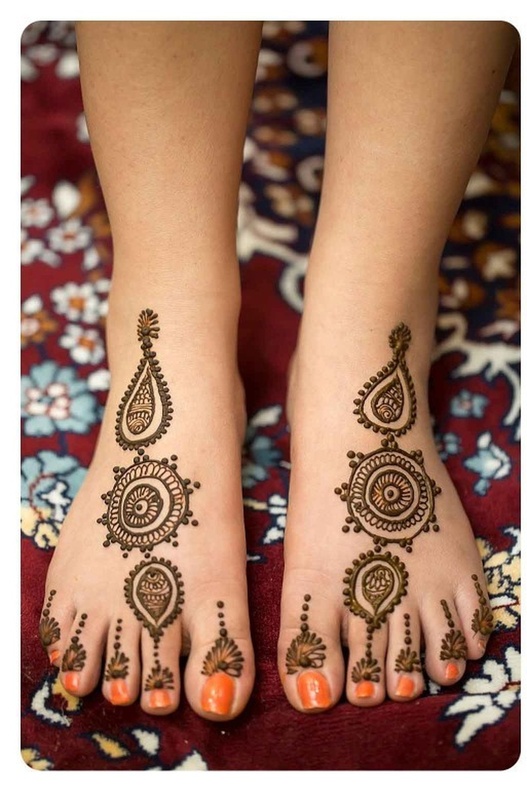 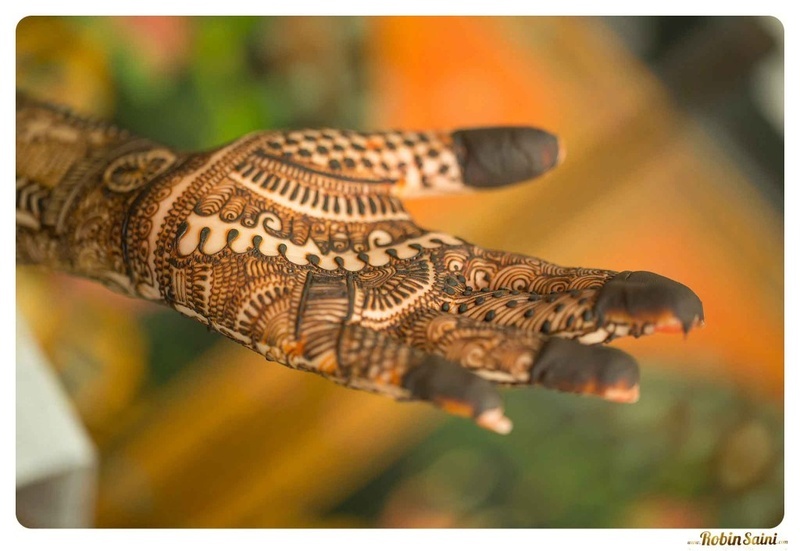 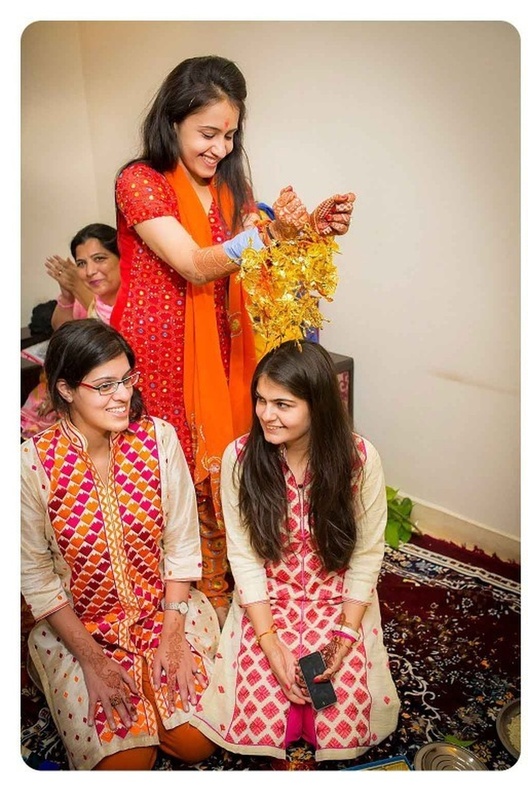 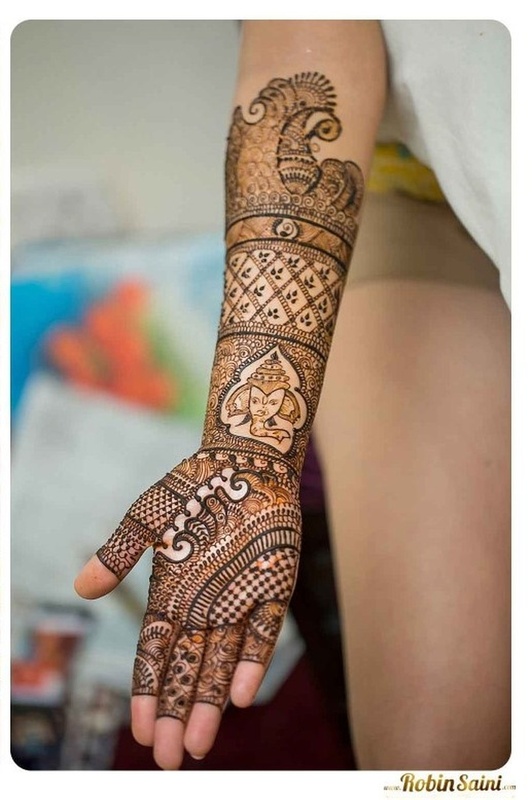 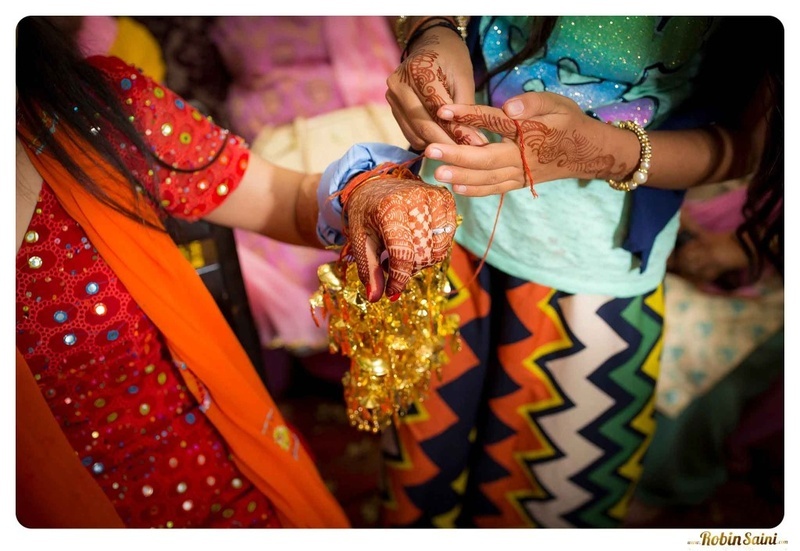 The mehndi was all kinds of gorgeous in every way – the intricate patterns on her feet featured minimal ethnic designs while her hands were fully covered in designs showing ethnic patterns with imprints of Ganesha and gorgeous mesh patterns – mehndi designs that truly raised the bar! 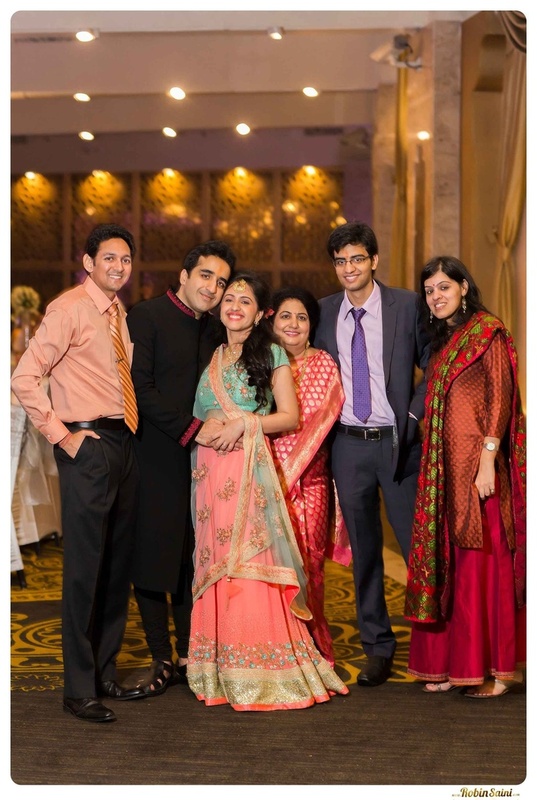 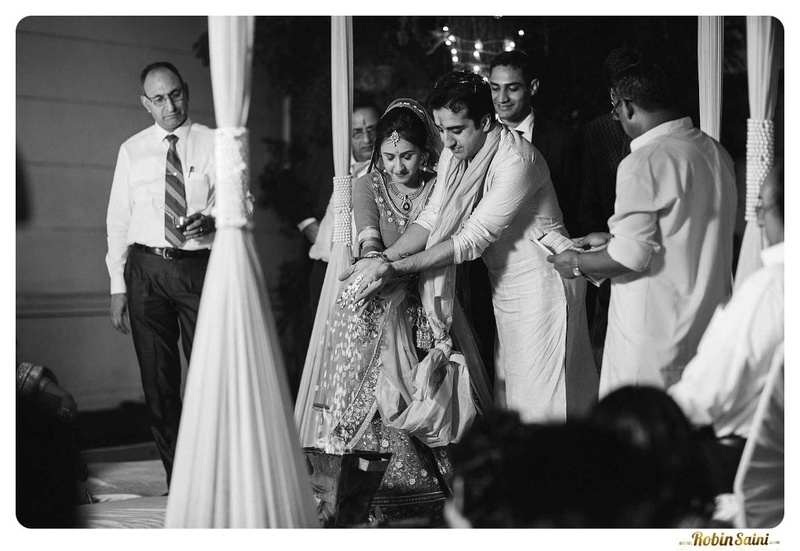 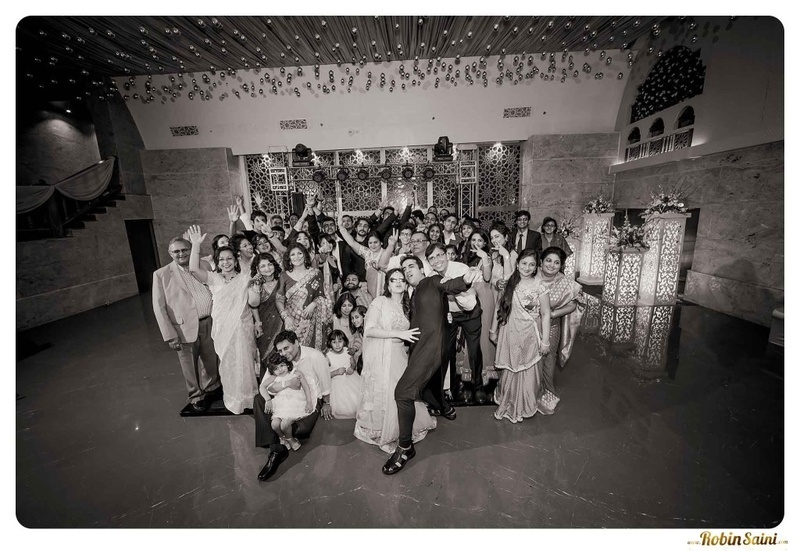 Celebrations continued with dancing, laughter and a whole lot of love. 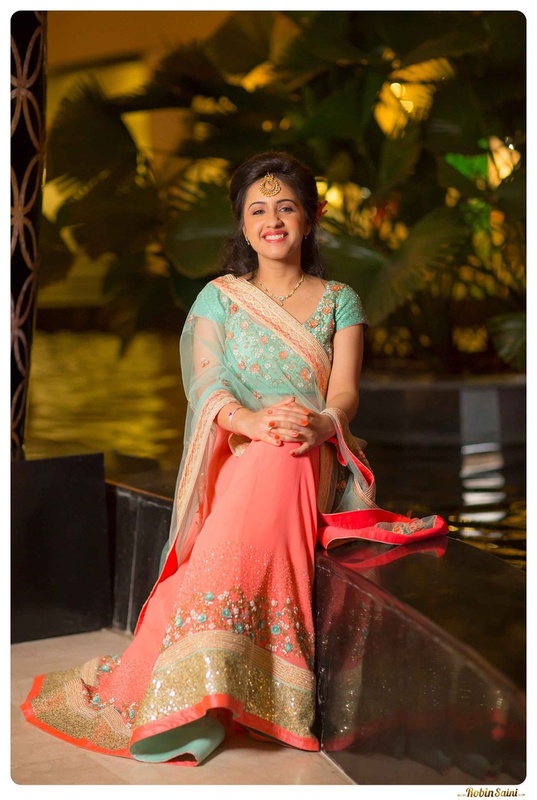 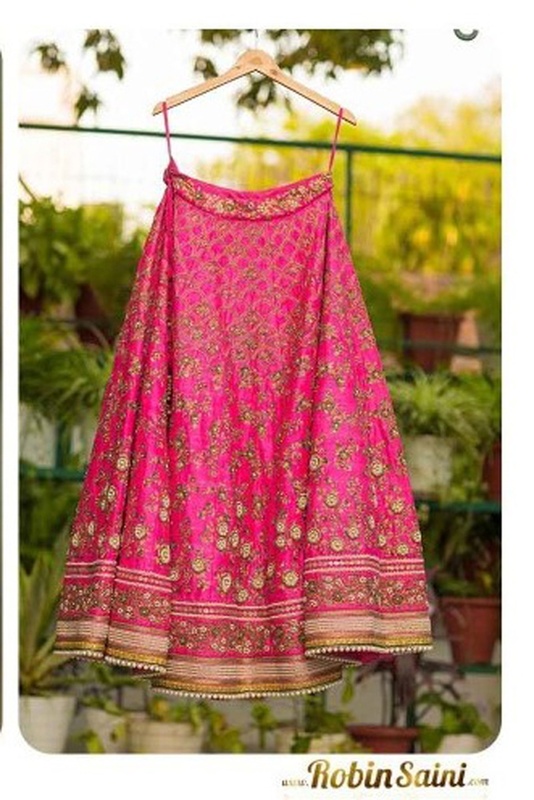 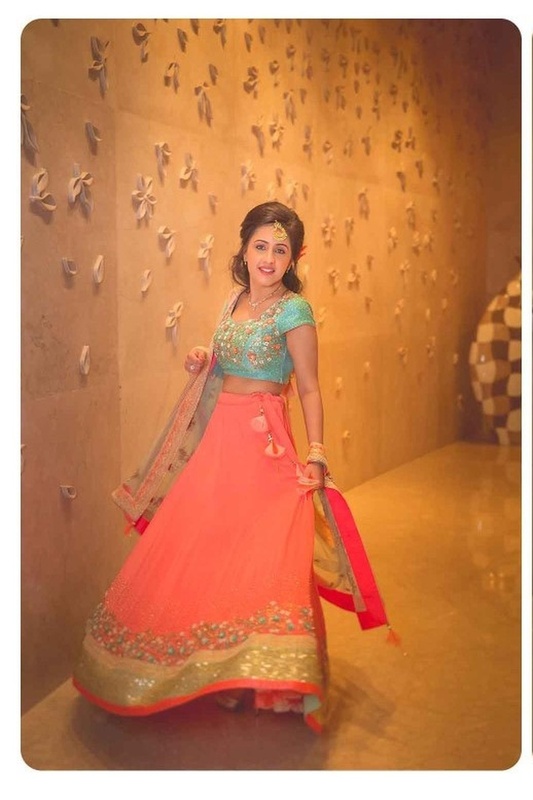 Purti’s peach and aqua lehenga embellished with a sparkly floral thread work shimmer was beautifully girly in every way. 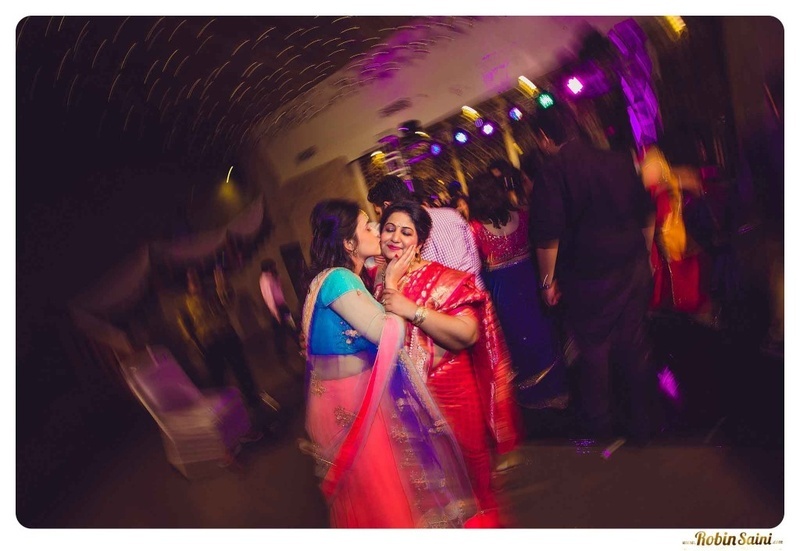 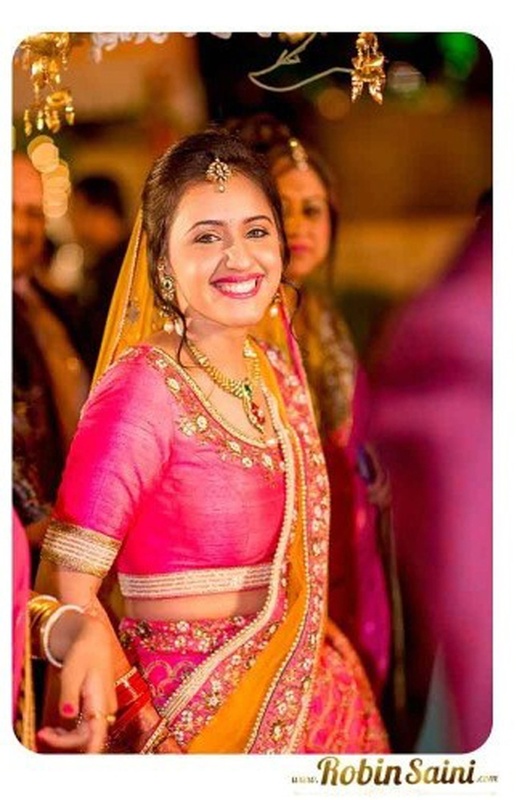 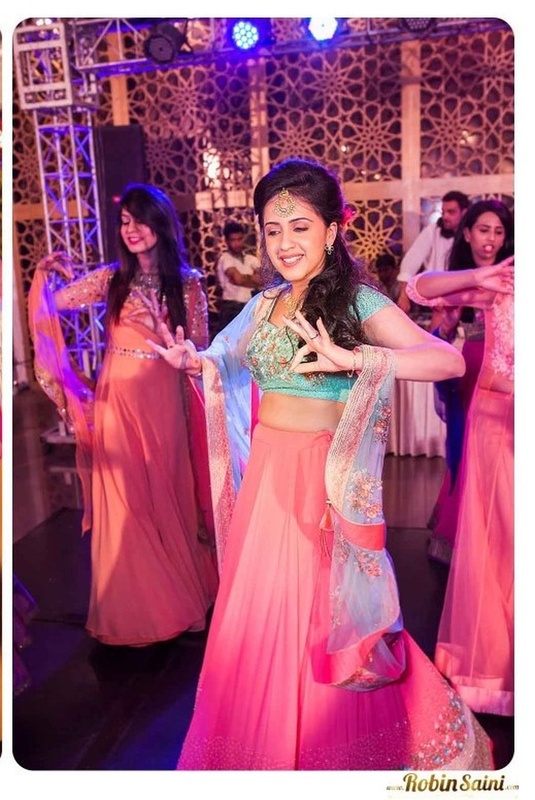 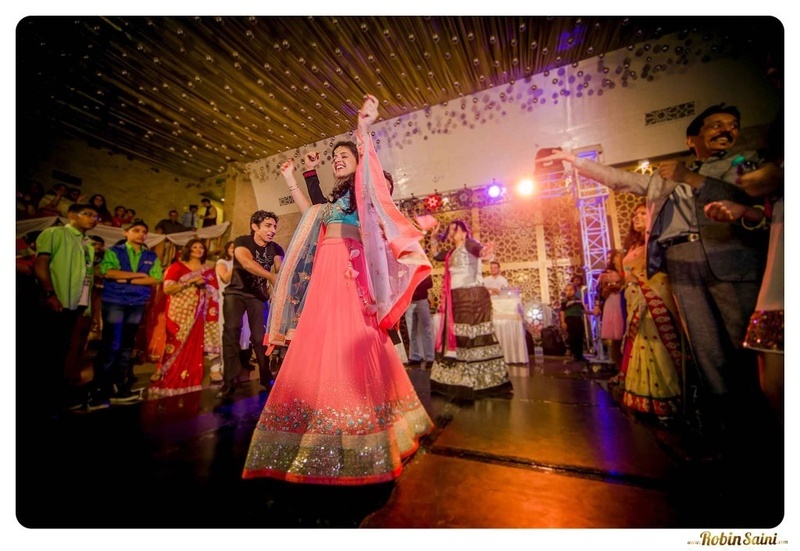 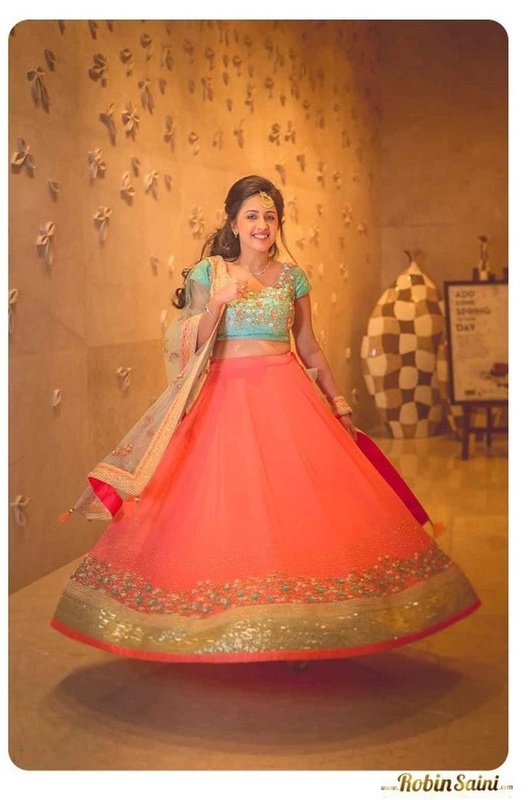 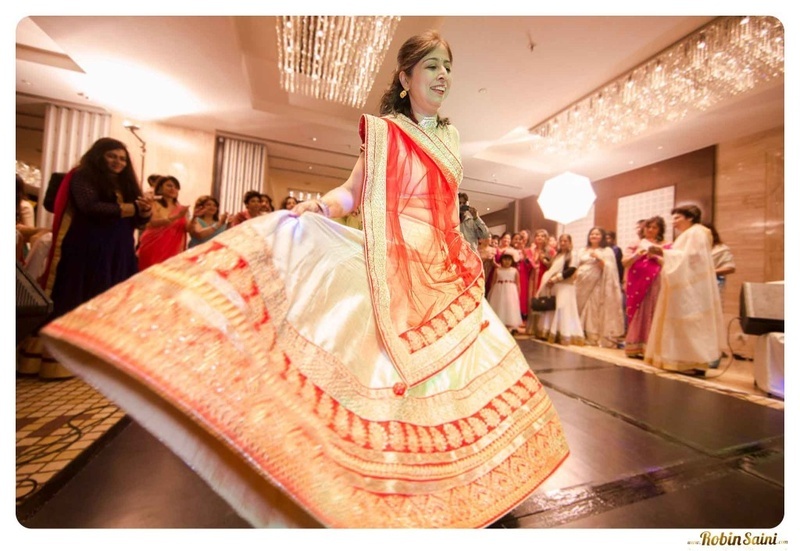 With every twist and twirl, her lehenga flared gorgeously. 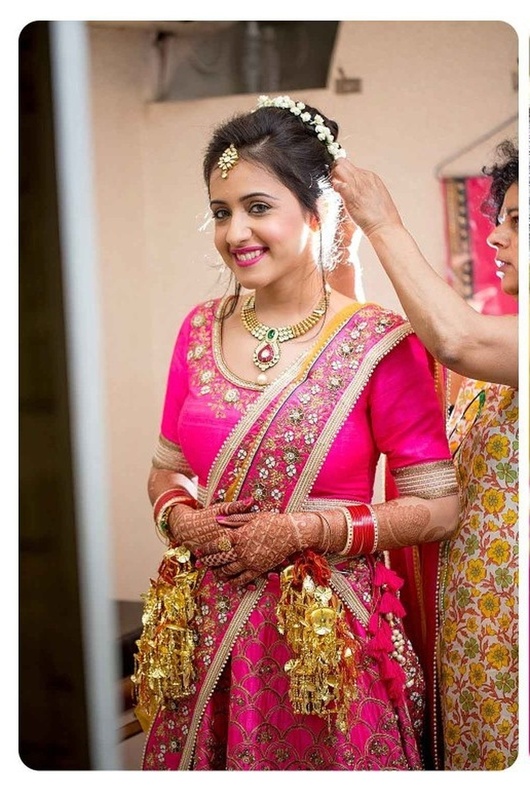 The simplicity of this outfit was its beauty – like the couple’s wedding outfits too. 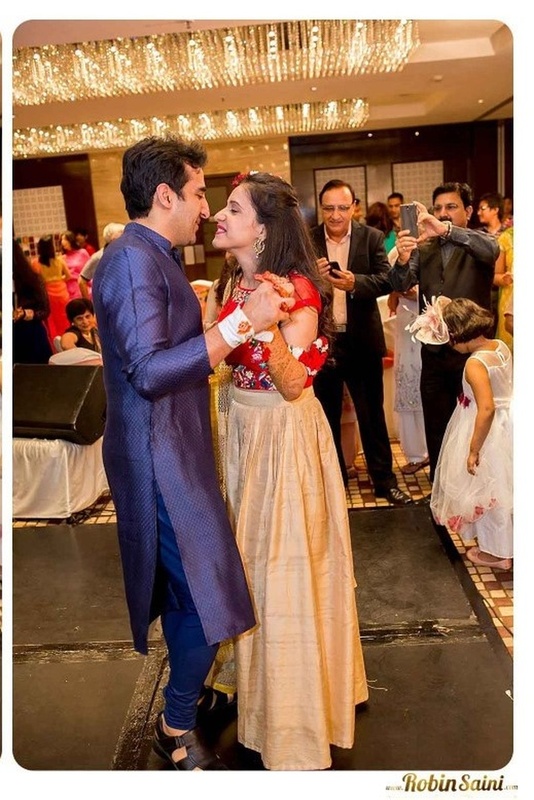 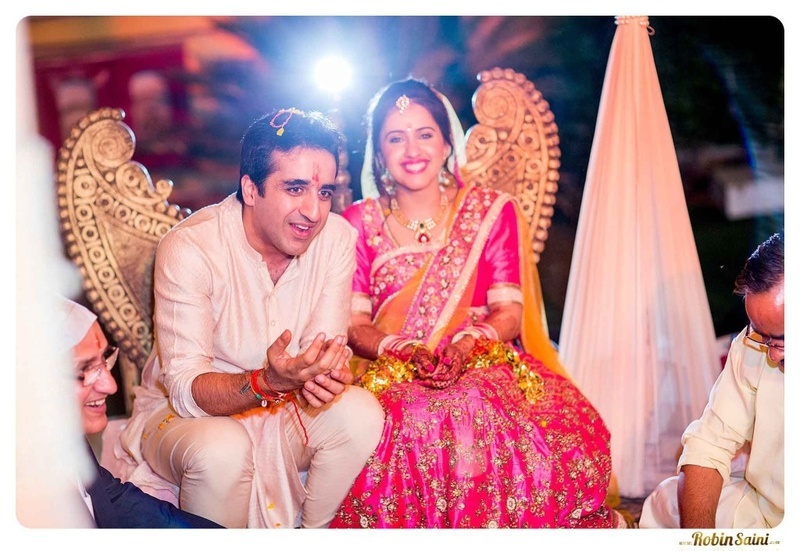 Shlok kept it basic an off-white silk kurta churidaar while Purti complemented him perfectly in her pink sequined lehenga.